We have always wanted to implement a simple banking system with our kids when they were old enough. We just haven’t had the time to set one up and stay consistent. This year, we’re committing to establishing a new routine that includes payment for chores. We have a list of family responsibilities which are chores that are required and are simply part of working together as a family. These chores are unpaid chores and are usually done daily. 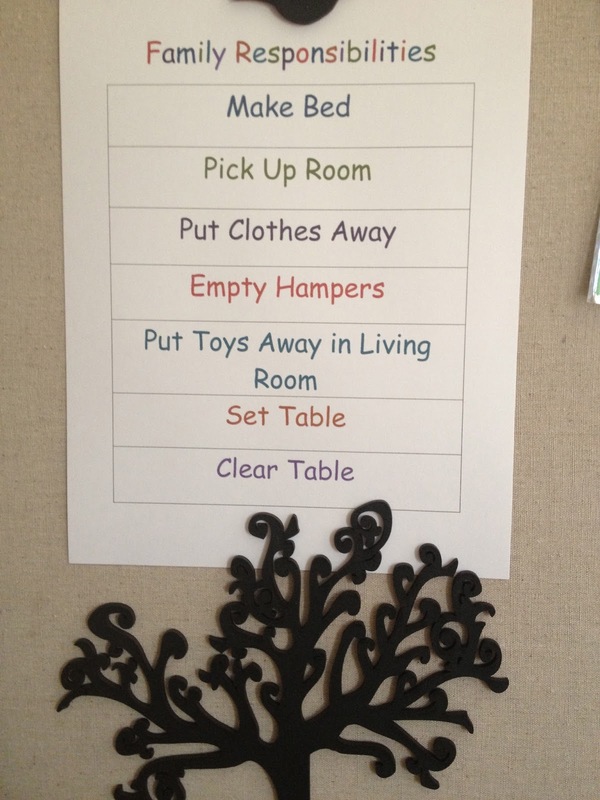 We have a list of possible chores and the kids can pick a chore that they would like to do. They can also ask for chores and I can give them a chore that needs to be done. I can also ask them to do a chore from the list. All of these chores are paid chores. Once a chore is completed (to my satisfaction) I pay the child or children who completed that chore. The amount varies on the difficulty of the chore and how long it took them to complete that chore. Their money goes immediately into their individual jars. Each child has a savings account register and we total up their money on Saturday. We help them write down their deposits and calculate what they need to withdraw for their tithe. Then we write their new balance in their book. If they want to use their money to buy something we get out their register to see what they have in their account and then we give them that money to make a purchase. Then we deduct money from their account. Once we have done their weekly deposit, all of the money goes back into the bank jar. This jar holds all the coins and bills that we use to pay them. There are several ways the kids can have money debited from their accounts or removed from their jars. If a chore that they were asked to do is not done, then they have to pay someone else to complete that chore – such as a sibling. However, if mom or dad finds a chore that is not done, then they have to pay us to complete that chore for them. And mom and dad are not cheap! We cost extra! If a child has a particularly bad attitude or is disobedient, I can take money from his or her jar and put it back into the bank jar. That money then would have to be earned again through extra chores. So, there you have it! 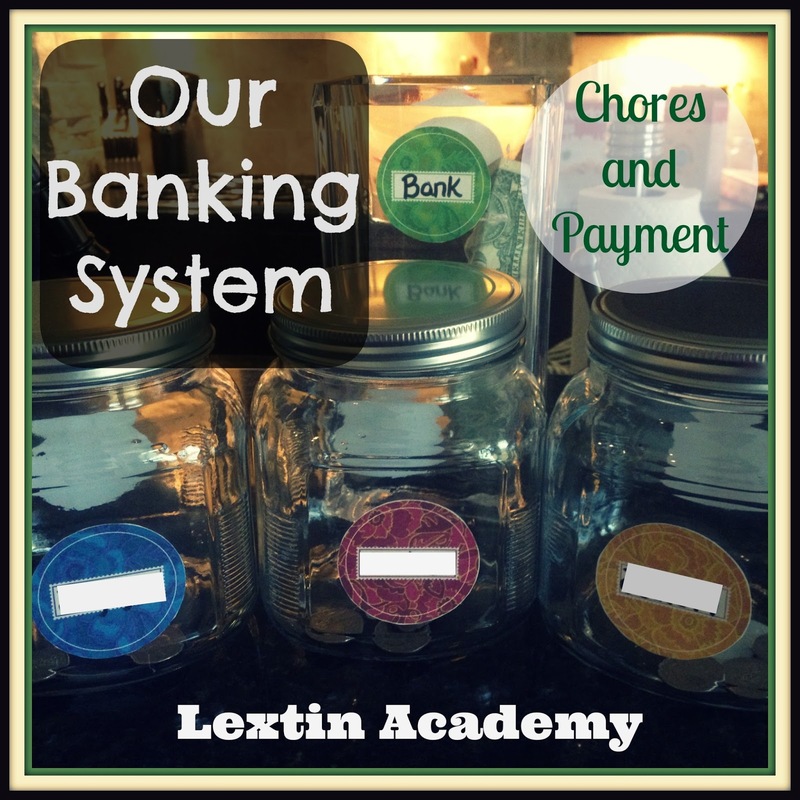 That’s our chore payment system and we’re also teaching our kids about the value of money as they help us around the house! 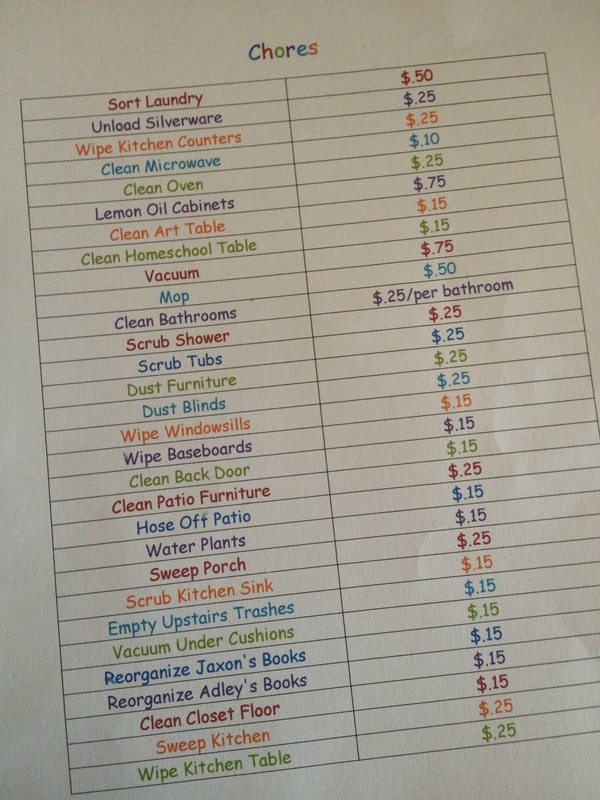 I love seeing how you've implemented your chore system – especially the chart of chores and your payout for them. =) Thanks so much for sharing!